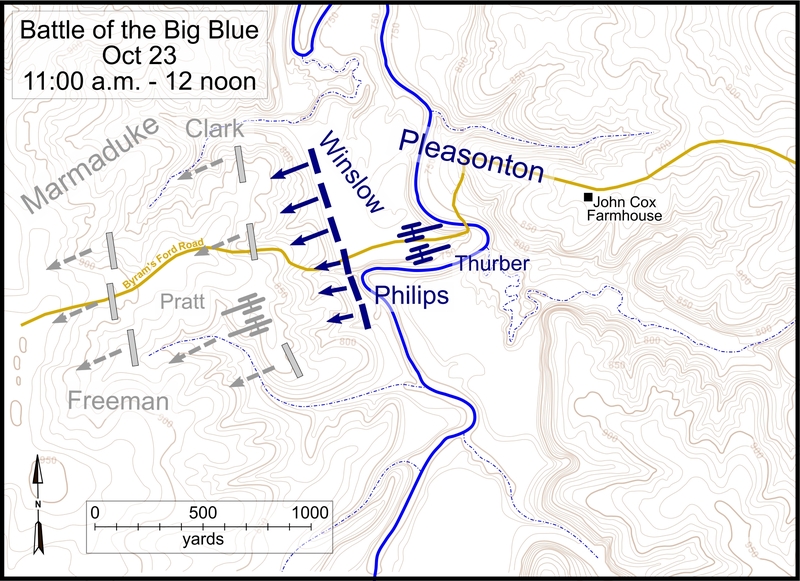 This tour stop takes you to the location where the Confederate artillery was deployed during the battle. 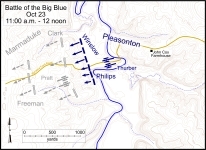 This also is the location of Marker 17A from the original Battle of Westport Auto Tour. 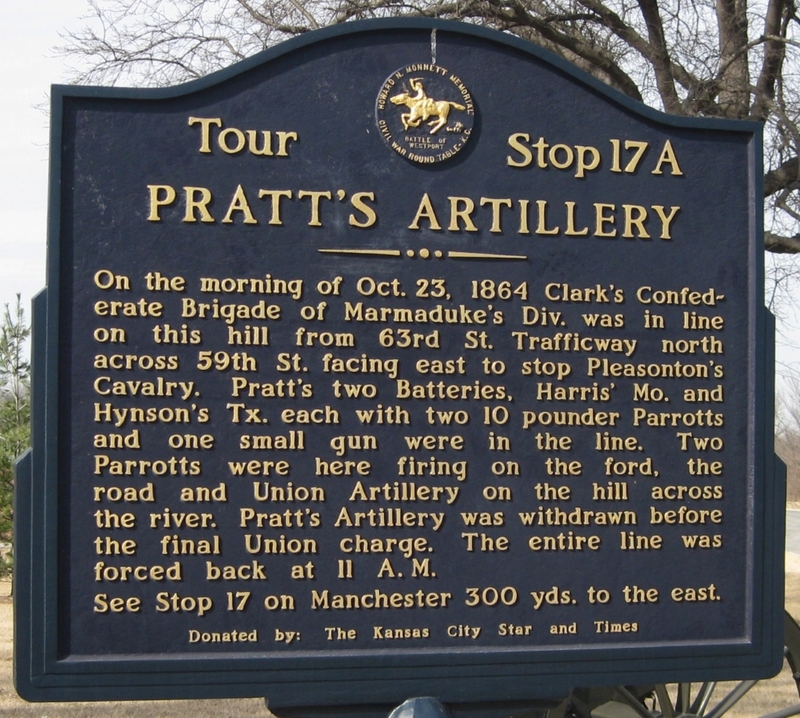 Historical Marker 17A from Battle of Westport Auto Tour. 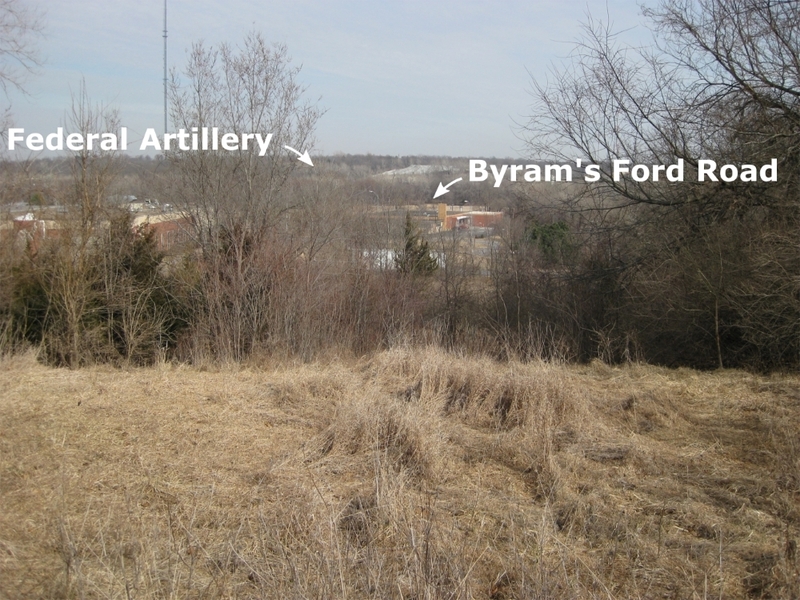 Annotated view from top of Bloody Hill looking west toward Byram’s Ford. 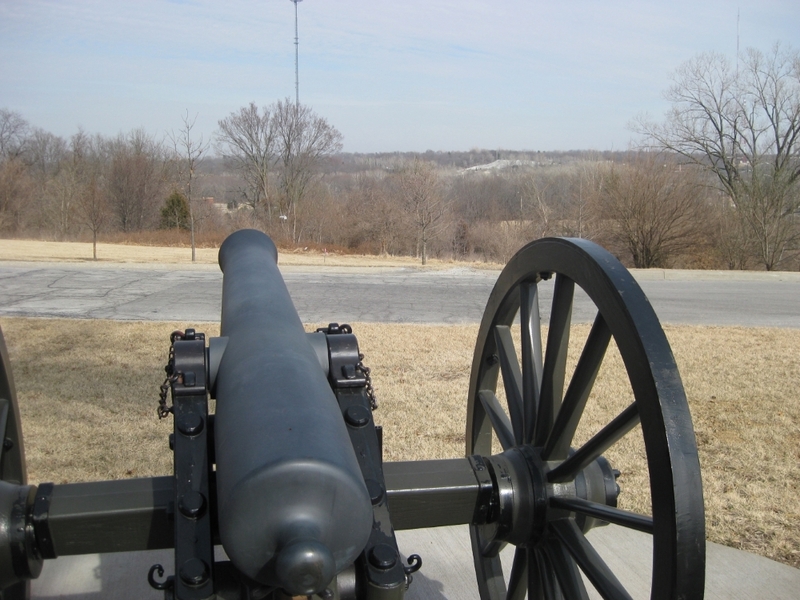 View looking east from Pratt’s Artillery tour stop.